Surely when you’ve started thinking about going to Cuba, Internet access has appeared to be one of the most critical issues. You may have wondered if you will be able to get WiFi, once you arrive in the island, and if there really is any possibility to connect to cyberspace. In this article, we hope to clarify many of the doubts you may have in terms of Internet access on the island. The first doubt that we want to clear out is that in fact, technically there IS Internet in Cuba even though it is very limited. But the truth is that connecting can be expensive and tiresome. But no worries, we will give you some handy tips to also make this experience enjoyable during your stay on the island. What you can never expect is to be able to connect as you can in almost any other place in the world you’ve visited. If what you are looking for is to feel good at all times, meet some amazing people and discover paradisaical places when travelling to Cuba, you have chosen a perfect destination for your vacations! Although connecting to Internet is already considered to be part of everyone’s daily routine, on the island in most of the cases it’s a challenge and for some it can be truly an adventure. You will have a good opportunity to disconnect from the everyday Facebook and Twitter’s world! First we will answer three frequent questions on the subject. We hope to cover most of your doubts. Although we imagine that other questions may arise. Make sure to leave them in the comments section, we will be happy to answer them all. There exist fixed accounts that are used by those residing in Cuba or staying for a longer time and there are temporary accounts that you will generally use when traveling for shorter periods. You can set up your temporary account by buying a card, which comes with a username and a password. It will be valid for up to 30 days after it has been used for the first time. These cards have a cost of: 30 min for 0.75 CUC, 1 hour for 1.50 CUC and 5 hours for 7.50 CUC, as stated on the official site of ETECSA (Empresa de Telecomunicaciones de Cuba SA), which is the Cuban state-run company that provides telecommunications services on the island. Although in practice sometimes you may find prices in different formats. On our blog, you can read a post about two currencies and how to use them. One of the complexities of the Internet access begins precisely at this point. It may happen that these cards cannot be found as easily as one would desire, even if you should be able to find them at any of the ETECSA’s points of sale. You can also find the NAUTA cards in hotels or resorts. Besides, you can find them on the streets as they are sold for a slightly higher price in Wifi points, which is a separate subject we will tackle later. It’s just to mention that these cards are not false. They are more expensive because they buy them and then resell them to obtain the obvious gain trying to make a living. 2. Where can you connect? Since mid-2015, WiFi hotspots have been installed in different public areas throughout Cuba, mainly in parks and touristic sites. In order to connect you can use either smartphones, tablets, laptops, notebooks or desktop computers that have a network card and are in the vicinity of these areas. In addition to these public spaces, there are “cybercafés” where you can make use of the connection for the same cost, but using the computers available there for public. Generally, they are located in the offices or branches of ETCESA in the provincial capitals or in the most important cities of the island. Here you can find an updated list of WiFi access points available throughout the island. As there are only certain restricted areas where you can access Internet, certainly it is one of the difficulties that you will have to face, getting used to the fact that you don’t have Internet anywhere you go. It’s possible that you’ll have WiFi at hotels and, though it’s hardly ever free of charge, you will gain on a connection of higher quality and tranquility. Of course, preferably you must have bought your card before since usually buying a card for the WiFi connection in touristic places is even more expensive. 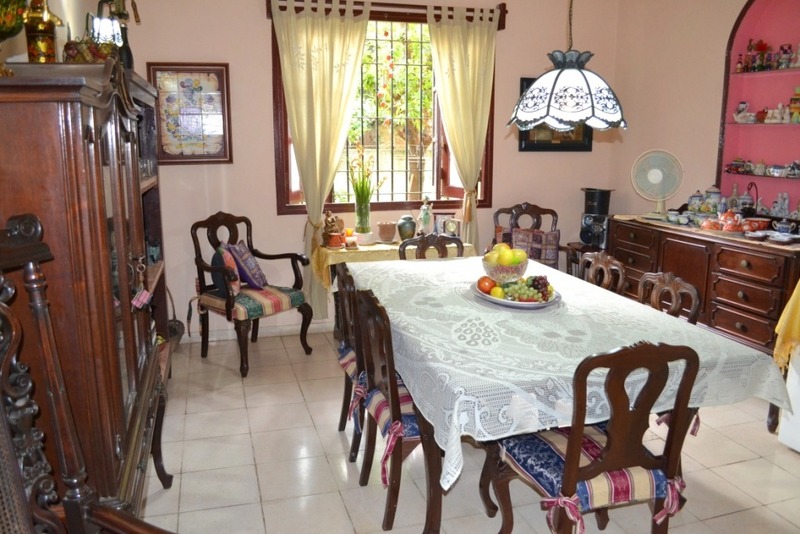 Some hosts at Cuban homestays, casas particulares offer Internet access in their houses. They will charge you for the service at a reasonable cost, according to the official rates, and you can generally rely on them. 3. What's the quality of Internet connection? In general, the connection is rather slow, even though it depends on several factors. One of them is the time when you connect, the number of people already connected or just the quality of the connection on a given day. Most of the times you can find a large number of people in the WiFi spots, almost 24 hours a day there is always someone checking their mails, talk to their relatives who live abroad or simply surf the internet. Of course, once you connect you can access your email or Facebook account, but when you try to make a video call, then you may encounter certain difficulties. Usually the calls are interrupted, the voice is lost and eventually the connection is lost. But still you’ll be able to publish some of the beautiful photos you have taken during your walks. Finally, we share with you four tips that will surely be very useful for you once you arrive in Cuba. Enjoy your vacations and go online! If you consider these tips, your overall experience with WiFi connection will be easier. Ask your host for help if you decide to stay at a private house. Remember that with Soulidays you can find accommodations anywhere on the island. Casa particular in Havana. Find accommodation in all the cities on the island. The cards are usually more expansive elsewhere than in official ETECSA offices. Connect to Internet only to post few photos from your trip or talk briefly with family and friends. If you try to do more things you will lose a lot of time and end up stressed and disappointed. If you follow these recommendations you will enjoy your trip even more and communicate with your friends without wasting time or spending more money than necessary. In addition, without being stressed about a complex and low-quality connection. But in the end travelling to Cuba is not about staying connected to Internet at all times. There are plenty of things waiting for you to be discovered, including its people, cuisine, the enigmatic history, as well as, its beautiful beaches. Enjoy your stay to the fullest!